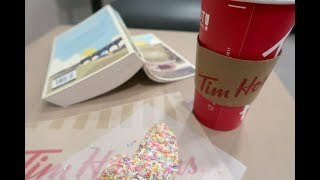 * AD – Gifted, we received 2 free boxes for the purpose of this post. It’s been 4 years since I started my blog, so we’re having a little bit of a birthday celebration with some great competitions and freebies. Check back to my earlier posts this week for some birthday competitions. 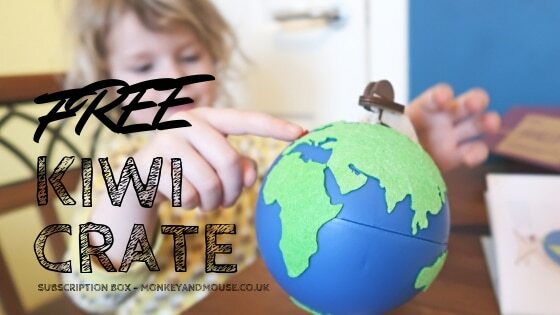 Today I don’t have a competition, instead I’m giving every one of my readers a free Kiwi Crate, normally £15.41/month, you only need to pay P&P. 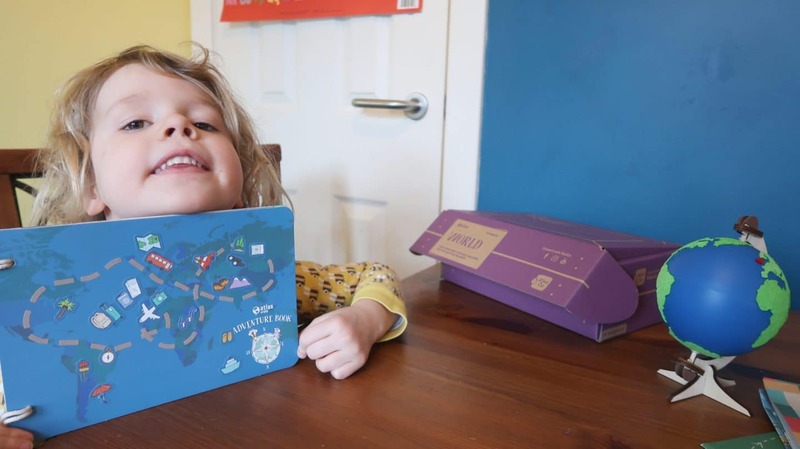 The crates are fantastic and a subscription would be the perfect gift for any budding inventors or engineers. Scroll to the bottom of the page for a the code for a free crate or read the review below so you know what to expect! Although the company is called Kiwi crate, there are actually 7 lines to choose from! From baby to teenager there are plenty of different crates suited to age appropriate activities to help develop and grow their minds. 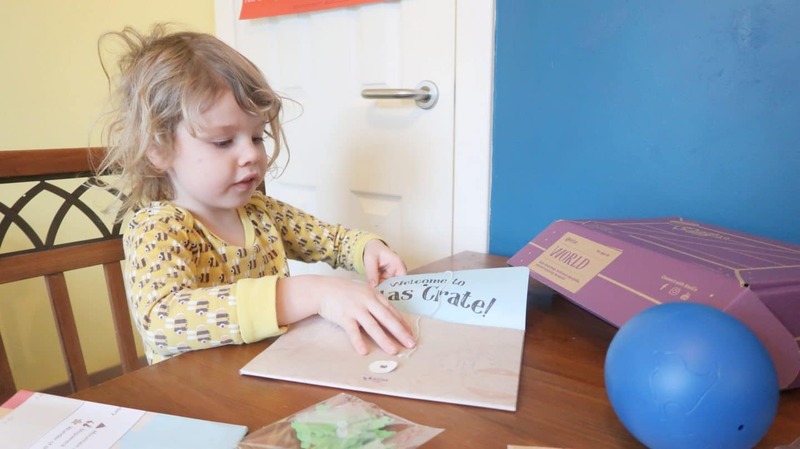 At each stage of your child’s development they can learn new creative ideas through crafts and STEM projects or explore the world through the Atlas crate. Even adults can join in with the Eureka crate which includes projects such as making your own Ukelele! We chose to receive a Kiwi and an Atlas crate for the boys to enjoy. First, my eldest received the Kiwi crate, which is for 5-8 year old children, he is 7 years old. The crate he received was the body crate, which focuses on how the organs work. The crate includes 2 creative or engineering activities to create, plus the Explore magazine. In my sons crate he had a large body poster, 3 x stuffed organs to make, a stethoscope to make and use and the Explore magazine. 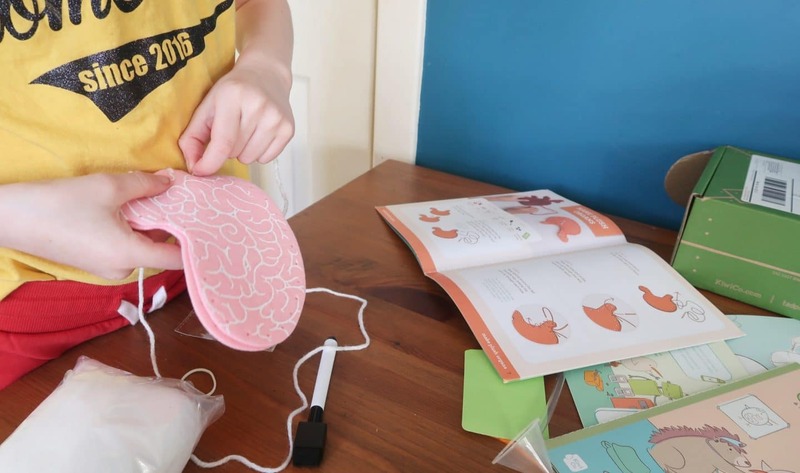 He was excited at sewing the organs, so first unfolded the poster to see which organs he had to make and then started sewing them using the pre-made holes. He’s sewn a sock monkey previously and had a good idea of how to sew and quickly made up the brain, heart and stomach, complete with a smiley face! 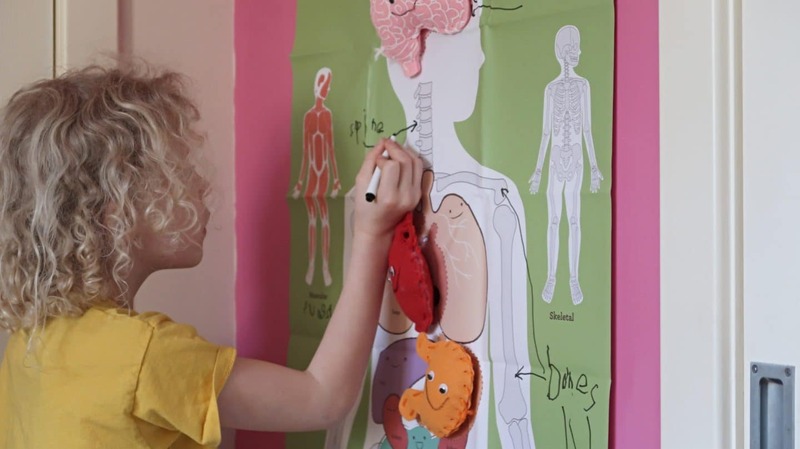 The organs could then be attached to the poster with velcro dots, making them removable. This wasn’t enough for an activity for my 7 year old. 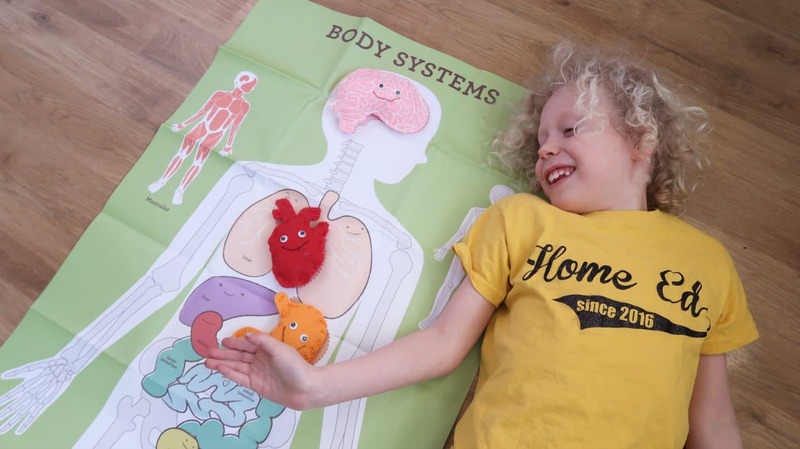 He decided he wanted to continue his learning with the poster and label all the organs himself. I wasn’t going to stop him as he doesn’t normally enjoy writing, instead I stood back and helped spell the words he wanted whenever he asked. I new he would enjoy the crate, but I was especially proud of how he chose to continue his learning. The next task was to build a stethoscope using the items provided. I was surprised at how easy it was to put together and how well it actually works, picking up the heartbeat through a funnel! 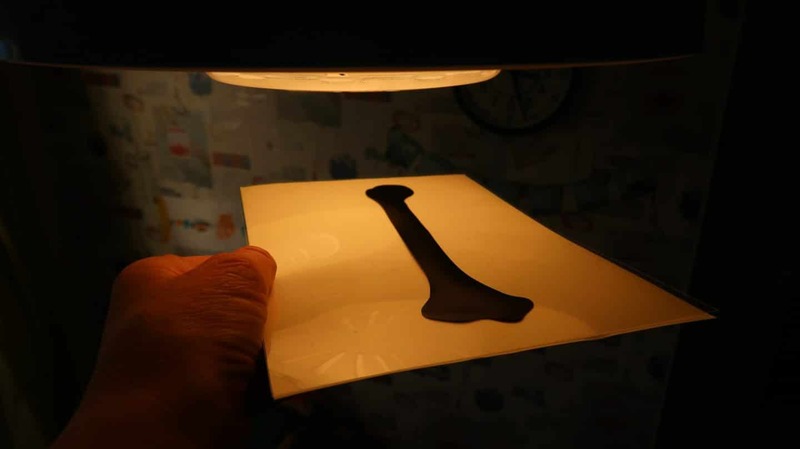 Finally we had fun exploring the glow-in-the-dark x-rays, using glowing card and black bone shapes. This is a great way to get into some imaginary play where your child has to x-ray the body and find any fractures that need to be mended. Of course the Explore magazine is fun for children to engage further with the topic. 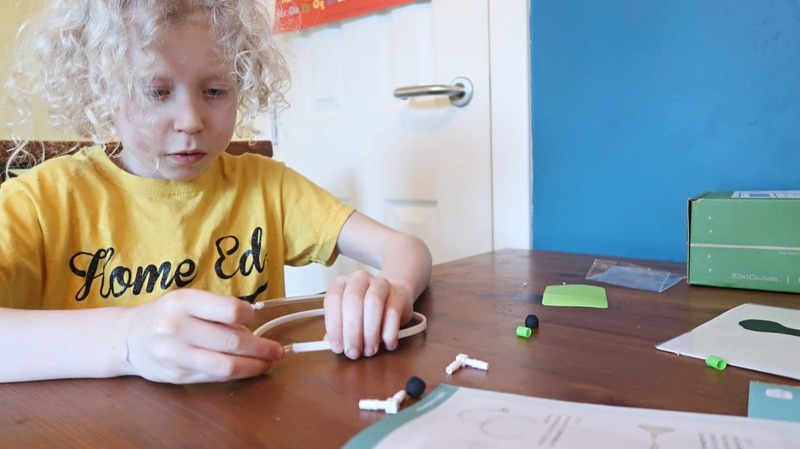 The magazine has a variety of other fun activities that can further engage children in the topic, including a cartoon story, making a model lung and breadstick bones, plus plenty of interesting facts! 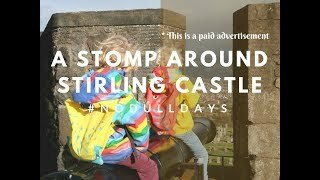 Although the Atlas crate is aimed at 6-11 year olds I thought my enthusiastic 5 year old would like it as he does enjoy travel based activities. He was certainly very excited to see the globe activity when he opened the box! 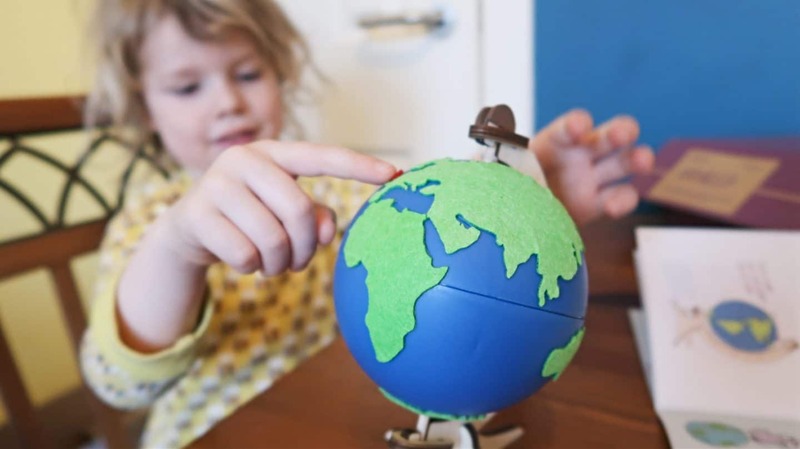 Of course the first thing he chose to do was to create his very own globe and got stuck in finding the correct land masses and peeling off the sticky backs. I had to help him position them a little as some had to be curved or bent a certain direction, but we made a pretty good team! The finished result is quite impressive and I was impressed that I didn’t even need to fiddle with the globe to get the Equator to lie at 0 degrees on the stand! A little red heart was also placed on our own country, which makes it easy to find each time. Within the crate there was also another two activities, one to create a book of information about each continent. 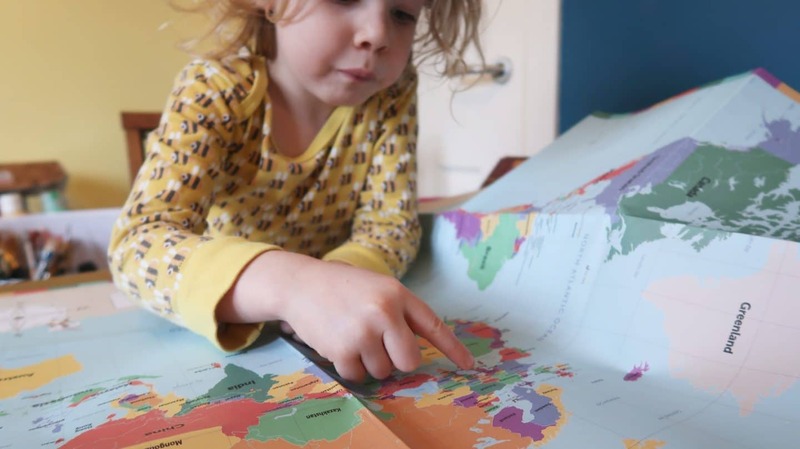 This one included a cover that your child can create their own sticker map. Littlest chose to have a rather twisty, loop-the-loop course for his plane! The information cards inside had some great facts about the world, from natural wonders to food and culture. Did you know that in Bolivia people direct traffic wearing zebra costumes!! Or that kites were invented in ancient China, only instead of toys they were used as military equipment to calculate distance, send messages and scare the enemy! The very final task included a huge world map with various interesting features marked with small icons. Littlest loved his challenge of finding the tallest mountain on each continent, the various wonders of the world and shipwrecks in the sea. We also practiced using latitude and longitude to read the map, but he needs a little more practice at reading his larger numbers first even though he did understand the concept. Our eldest finds it much easier to read the map as he can recognise the larger numbers already and is quite used to finding locations using the x and y axis’ on Battleships. 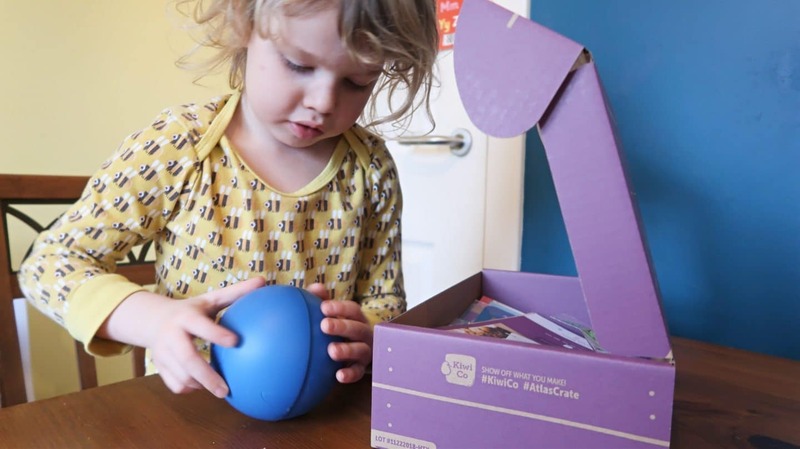 For children to be able to do more of the activities independently I would definitely suggest that it’s directed at 7+, but if you’re able to work with your child then this crate is suitable for younger children too. You can receive your very own FREE Kiwi crate using my discount link, so you only need to pay p&p. In rare cases you could be charged customs too, but with the 3 boxes I have received (including one that was not gifted) I haven’t been charged for this. To receive your FREE Kiwi crate head over to this link here: Kiwi Crate Subscription Box.